More than one person has died in a series of terrorist attacks in central London on Saturday, June 3, 2017, says report. The attacks carried out in central London. 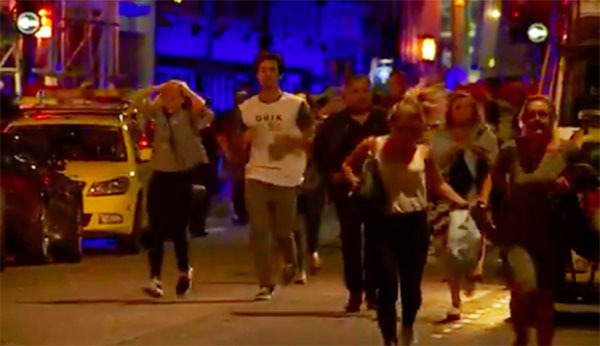 Reports says a van veer onto the pavement of London Bridge, striking as many as six people. There were multiple casualties reported. About 20 people are being treated at the Andaz Hotel near Liverpool Street station. The stabbing incident in Vauxhall not connected to the attack, says police. Below is the Live Update including Photos and Videos from London Attack.